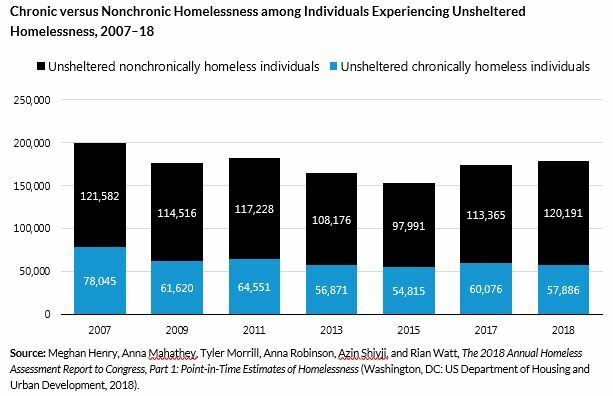 To encourage people experiencing homelessness to go to shelters, shelters should have flexible operating policiesthat accommodate the needs and concerns of would-be residents. When shelters have strict entry requirements, they prevent people experiencing unsheltered homelessness from going into the system. These barriers includehousehold configuration requirements, sobriety rules, rules against pets, and limited storage for belongings. By eliminating these deterrents, jurisdictions can help put people experiencing homelessness on a pathway toward stable housing.